Mermaid Hair Extensions was honored to receive the Excellence in Education award from Evergreen Beauty College. This prestigious recognition is given to a local salon or spa that has gone above and beyond in providing support for education in the beauty industry. 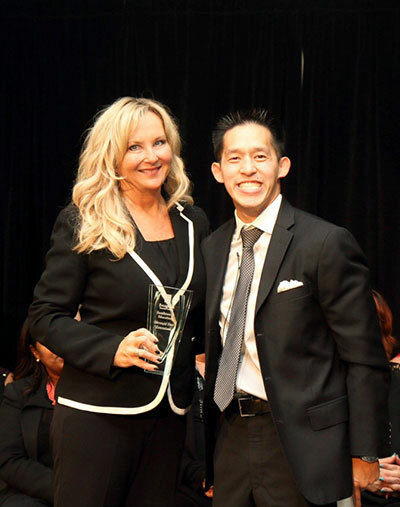 Pictured: Cindy Reynolds, Owner of Mermaid Hair Extensions and Frank Trieu, Director of Education at Evergreen Beauty College.